Chrome Rectangular Assist Steps, Driver Alert Package, Leather - Jet Black, Spray-On Bedliner! 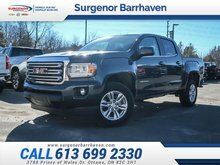 As the only premium mid-size truck, the GMC Canyon can tow and haul in style and comfort. 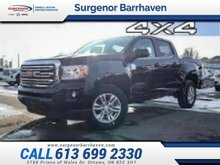 This quicksilver metallic crew cab 4X4 pickup has an automatic transmission and is powered by a 3.6L V6 24V GDI DOHC engine. Given that muscular motor it gets 14.1 L/100 km in the city and 10.0 L/100 km out on the highway according to Transport Canada. Our Canyon's trim level is SLT. 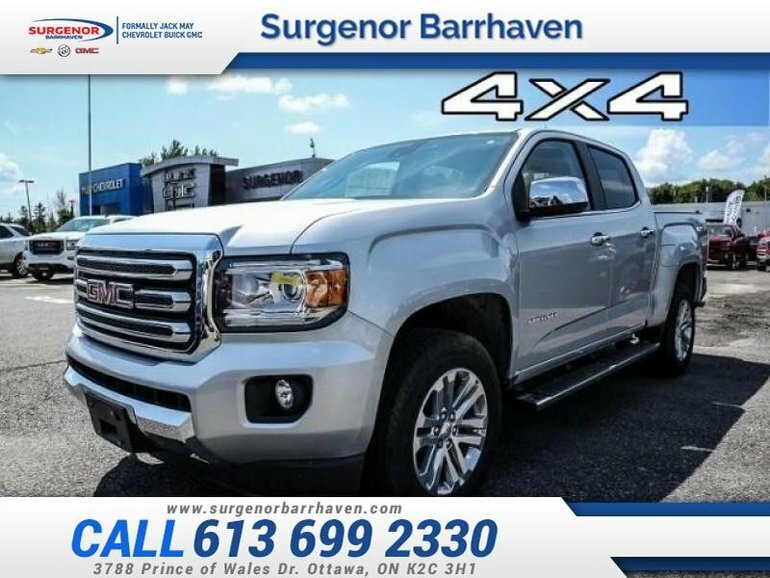 This Canyon SLT comes with some luxurious features you might be surprised to find on a pickup. 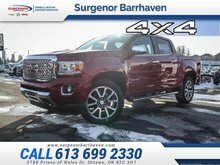 It comes with a color touchscreen radio with Bluetooth, SiriusXM, a USB port, and an aux jack, OnStar, a rearview camera, leather seats which are heated in front, remote start, automatic climate control, heated power mirrors, and more. This vehicle has been upgraded with the following features: Chrome Rectangular Assist Steps, Driver Alert Package, Leather - Jet Black, Spray-on Bedliner. 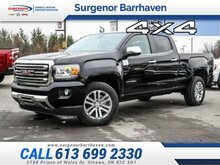 Ce véhicule, GMC Canyon SLT - $325.81 B/W 2018 vous intéresse?